Soar over Los Angeles on a 75-minute helicopter ride and enjoy a bird’s-eye view of the best sights in the area. 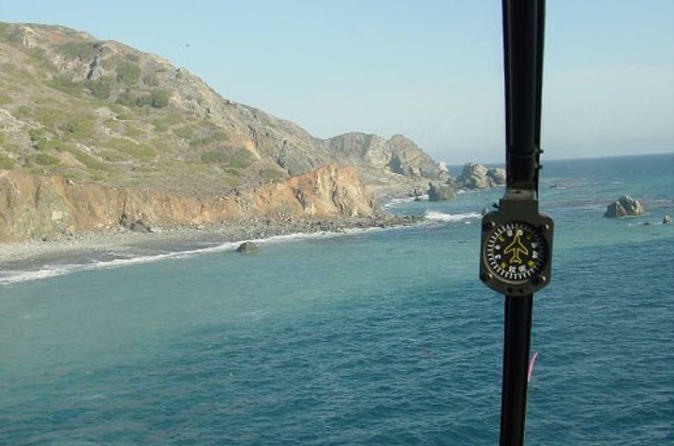 During the narrated flight, snap one-of-a-kind pics of the iconic Hollywood Sign nestled in the hills, celebrity homes in Beverly Park and stunning views of Malibu beach and rugged cliffs. Your sights include Manhattan Beach, The Beverly Center, Bel Air, Staples Center and more. Upgrade to the Hollywood Style package and delight in Champagne and hors d'oeuvres while you’re in the air, or simply add round-trip luxury transport from your hotel. Your 75-minute aerial adventure begins at Compton Woodley Airport, where a helicopter is ready and waiting for you to board. Once you’re inside, the blades blur into action and then your professionally trained pilot whisks you past the Malibu pier for the ultimate celebrity homes tour. Eye mansions owned by Paul Mitchell, Jennifer Aniston and Cher, and gaze at the multimillion-dollar mansions of Beverly Park in the only way possible — from the air. Your pilot points out where your favorite icons, like Denzel Washington, Eddie Murphy, Vanna White and Rod Stewart, call home. Fly over Pacific Palisades, Brentwood, Westwood, Century City, The Getty Center, Beverly Hills and Bel Air. Your comprehensive flight continues with views of $30-million estates near Palos Verdes Peninsula, as well as the sights of Los Angeles Coliseum, Dodger Stadium, Staples Center, the famous Hollywood sign, Hollywood Bowl and more. If you’re lucky, spot dolphins or whales in South Bay, and cruise by Point Vicente Lighthouse and Long Beach Marina. Instead of figuring out your own way to Compton Woodley Airport and back, enjoy convenient pickup and drop-off from your hotel. Depending on the number of your party, ride in an air-conditioned and spacious PT Cruiser or a Ford Flex. Upgrade and add flair to your tour: Sip Champagne and bite into delicious hors d'oeuvres during the flight. After you land, take home a souvenir and photo of your unique experience. Round-trip luxury hotel transport is included.